Let's make sure of it! “2019 will be the year veganism goes mainstream” The Economist proclaimed in late December, dubbing this the “Year of the Vegan.” The Guardian agrees, noting that on the first Sunday of the year alone, Veganuary’s vegan pledge program saw 14,000 pledge to try vegan, with a total of “more than 250,000 people signing up to Veganuary in 193 countries.” Learn more about Veganuary’s game-changing program! The plant-based foods market is booming in response to consumer demand for plant-based alternatives, most notably meat and dairy. 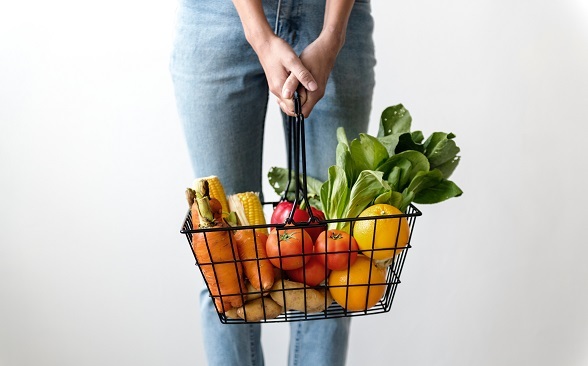 Leading media outlets are listing plant-based diets among the top food trends in 2019 as more and more people explore meat-free alternatives and reduce or eliminate their consumption of animal products — motivated by concerns over personal health, the environment, or animal welfare and rights… or all of the above. At VegFund, in 2018 we laid the groundwork for a banner year in 2019 through the launch of our new technology platforms and expansion of our grant programs. VegFund is providing grant support in more countries than ever before for an increasing number of activist events and programs. The focus may be on food and diet trends, the “how to” of a vegan lifestyle, or vegan philosophy and ethics, but it’s safe to say that veganism is in the media spotlight. We invite you to join us in building on this unprecedented surge of interest in veganism. Let’s make veganism mainstream in 2019. Are you ready? Seize the moment! Organize a vegan outreach event or activity in your community with VegFund’s support. Read about our grant programs and apply today.